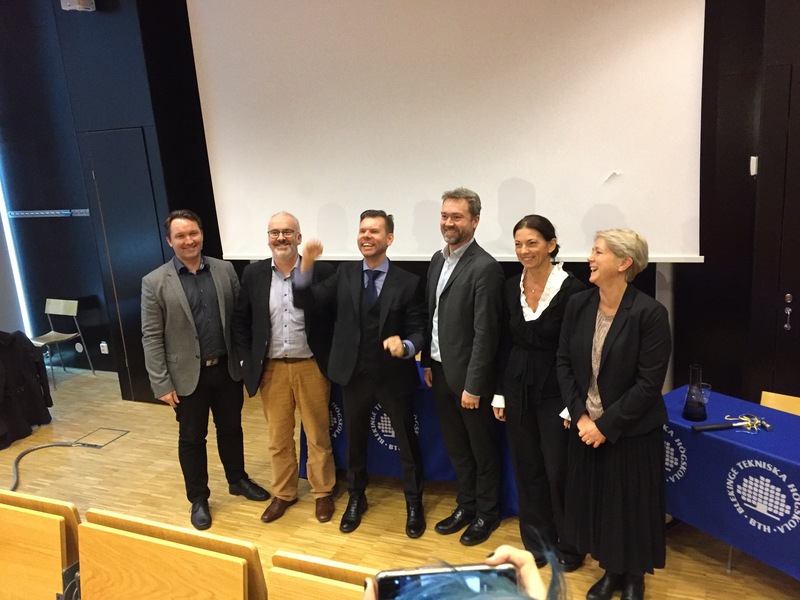 Congratulations Mikael Johnsson, Doctor of Philosophy! Mikael Johnsson was really happy when he got the result of the grading committee meeting from Professor Sofia Ritzén, it was a pass! 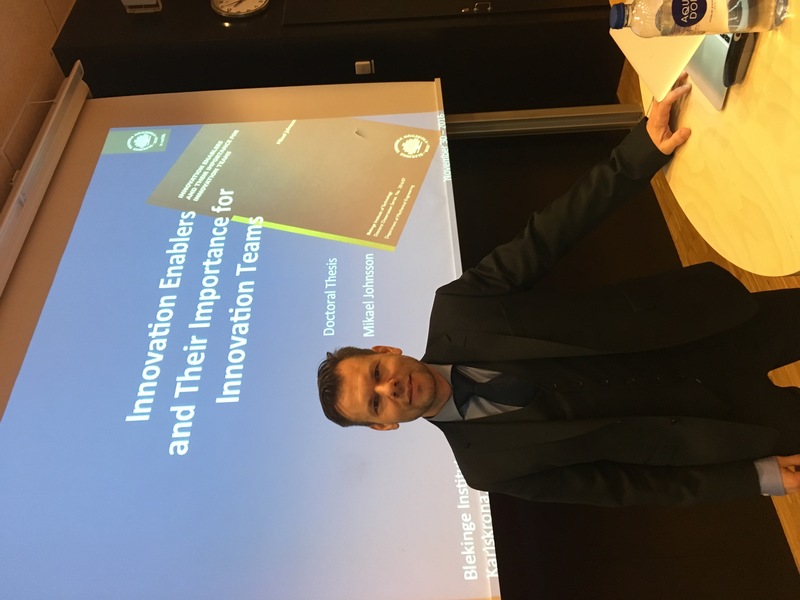 This was after a morning of presentation and discussion as Mikael defended his PhD thesis “Innovation Enablers and Their Importance for Innovation Teams” in front of family, friends and colleagues at Blekinge Institute of Technology. The research has focused developing an understanding of factors that enable innovation teams to conduct agile innovation work in an industrial context. The background and reason for this research are not only that innovation is necessary for companies that want to stay in business, but also that these companies need to increase the speed of their innovation work to stay competitive. In dialogue with the opponent Professor Monica Bordegoni. The research was mainly carried out within two research projects. 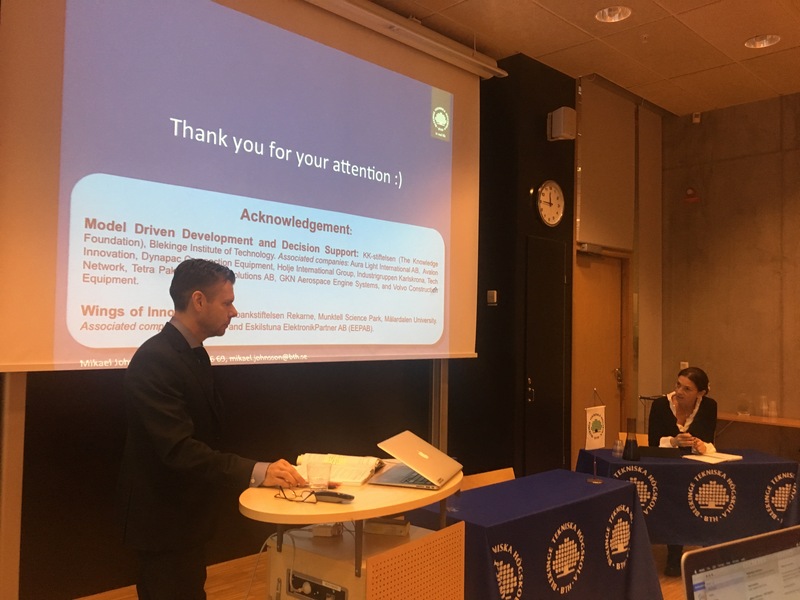 The first one, named “Wings of Innovation” at Mälardalen University, and the second project was the Model Driven Development and Decision Support (MD3S) research profile at Blekinge Institute of Technology (BTH). 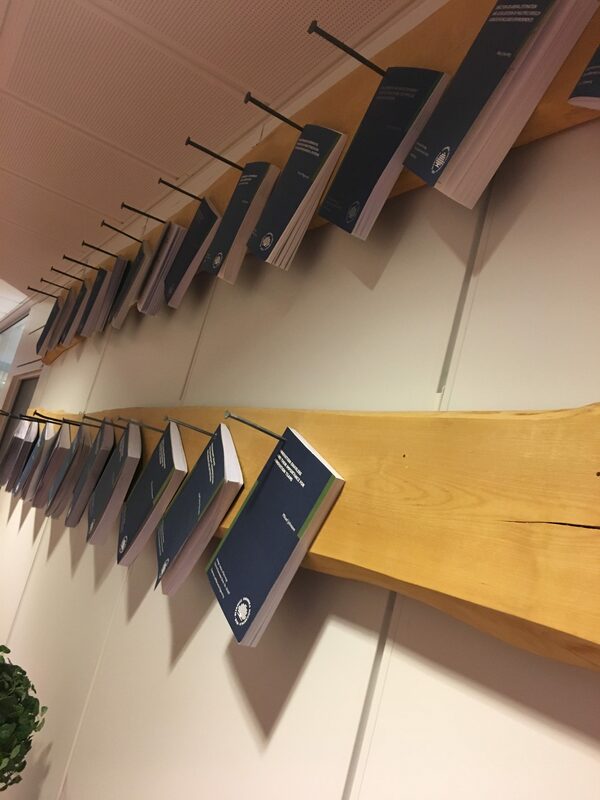 MD3S is an initiative financed by the Swedish Knowledge and Competence Development Foundation (Stiftelsen för kunskaps- och kompetensutveckling). 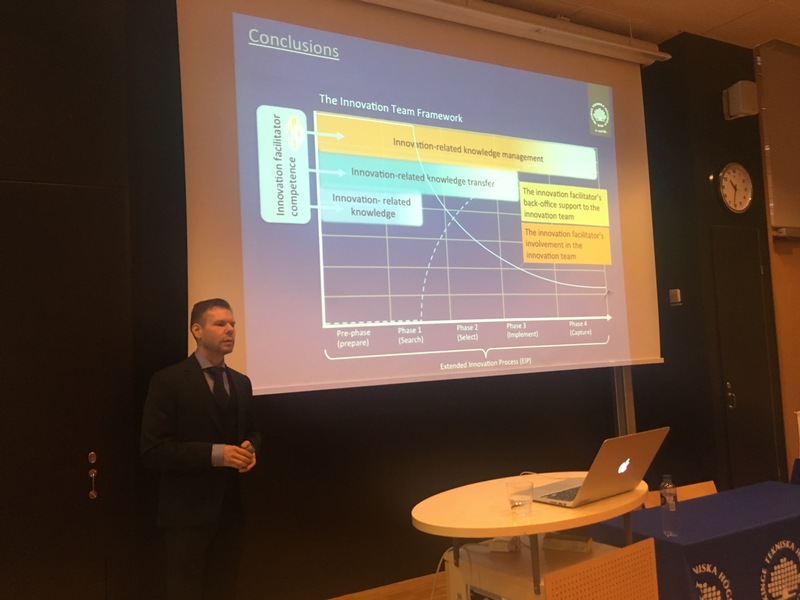 Mikael has been practically involved in innovation teams working in industry, and supported them through their innovation work. Main collaborator for the studies have been Volvo CE. After detailed scrutiny by Professor Monica Bordegoni (Politecnico di Milano) and final approval by the grading committee, composed of Professor Sofia Ritzén (Royal Institute of Technology), Professor Tim McAloone (Denmark Technical University), and Professor Johan Ölvander (Linköping University) Mikael finally got the chance to nail his thesis to the wooden plank, signalling that it is DONE! Supervisors of the research has been Professor Tobias Larsson (BTH) and Professor Tomas Backström (Mälardalen University). 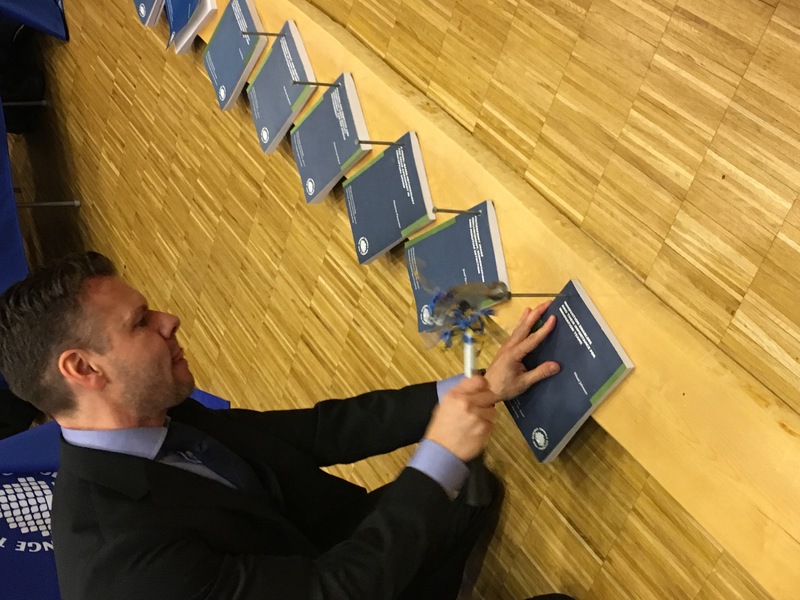 We gratulate our newest PhD on such an important milestone in his research carrier! Tobias Larsson, Tim McAloone, Mikael Johnsson, Johan Ölvander, Monica Bordegoni and Sofia Ritzén. On the wall of fame! For more information, Professor Tobias Larsson, tlr@bth.se, or Mikael Johnsson, mikael.johnsson@bth.se.